The Consumer Financial Protection Bureau accused Westlake Financial Services and Wilshire Consumer Credit, its auto title lending subsidiary, of illegal debt collection ploys, including extending loan terms without permission and failing to disclose loans’ annual percentage rates. The CFPB ordered the lenders to pay consumers $44.1 million in relief. Westlake, which is a predominantly subprime and near-subprime lender in Los Angeles, changed the due dates on consumers’ accounts or extended loan terms without telling customers from at least January 2010 until at least September 2011, the CFPB said in a statement. Westlake later told borrowers that the extended terms and due date changes would have a “positive effect” on them, while the extensions actually led to borrowers paying more interest over the course of their loans, the statement said. Wilshire, which offers auto title loans and services directly to consumers, also failed to distribute complete information about the cost of its auto loans, the CFPB said. In 2012 and 2013, the company used monthly interest rates or other interest rates in advertisements for auto title loans without providing the loans’ APR. In an advertisement on one of its websites, the company also showed monthly payment rates but disclosed the APR only in small text further down on the page, the CFPB said. Last year, Wilshire phone representatives would also offer monthly rates or other rates to customers who asked, rather than disclosing the APR. “These practices violated the Fair Debt Collection Practices Act, the Truth in Lending Act, and the Dodd-Frank Wall Street Reform and Consumer Financial Protection Act,” the CFPB said in a statement. Westlake and Wilshire, in a statement, said they have cooperated with the CFPB for the last 18 months. "The CFPB allegations relate to practices as far back as 2010 and to practices that were ceased long ago," the statement said. "WFS consented to the issuance of the Consent Order 'without admitting or denying any of the findings of fact or conclusions of law' and did so in order to avoid lengthy and costly litigation. "WFS shares a fundamental agreement with the CFPB in the importance of treating consumers fairly, appropriately and respectfully in all phases of the auto lending experience." 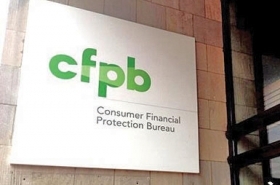 The CFPB said that when Westlake and Wilshire called customers, they posed as representatives from repossession companies, the borrowers’ own family and friends and third parties, such as pizza delivery services or flower shops to “trick the consumer into disclosing his location or the location of his vehicle,” the statement said. They used a Web-based service called Skip Tracy to make the calls and choose the number and caller ID text that the call recipient would see. Westlake and Wilshire have used the service to place or receive calls associated with more than 137,000 accounts since 2010, the CFPB said. The CFPB said the lenders also pressured borrowers by falsely threatening to refer them for investigation or criminal prosecution. The CFPB said it is ordering the companies to pay about $25.8 million in cash and then provide the remainder of the relief as balance reductions.